Have a question for Beljari Pension? 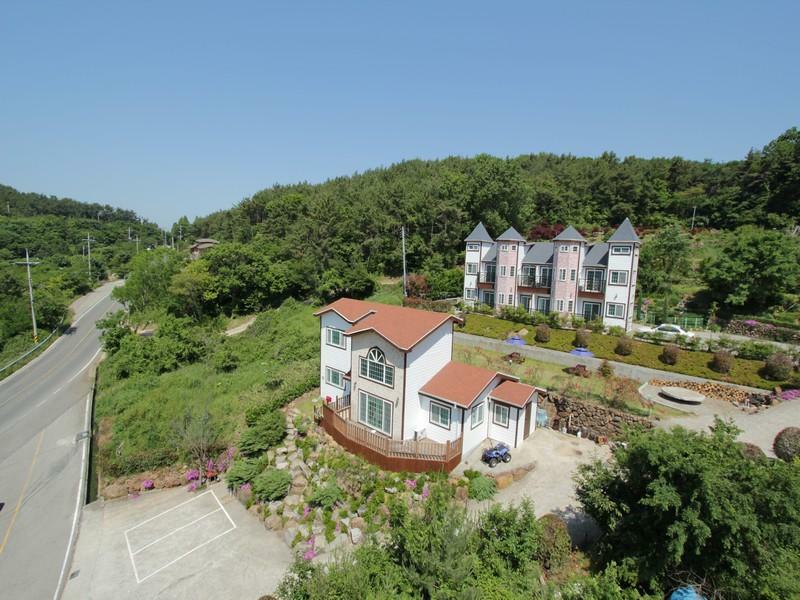 Beljari Pension, located in Sanyang-eup, Tongyeong-si, is a popular choice for travelers. From here, guests can enjoy easy access to all that the lively city has to offer. With its convenient location, the hotel offers easy access to the city's must-see destinations. Take advantage of a wealth of unrivaled services and amenities at this Tongyeong-si hotel. Free Wi-Fi in all rooms, express check-in/check-out, Wi-Fi in public areas, valet parking, car park are just a few of the facilities that set Beljari Pension apart from other hotels in the city. Beljari Pension is home to 8 bedrooms. All are tastefully furnished and many even provide such comforts as television LCD/plasma screen, non smoking rooms, air conditioning, heating, balcony/terrace. The hotel offers wonderful recreational facilities such as garden to make your stay truly unforgettable. 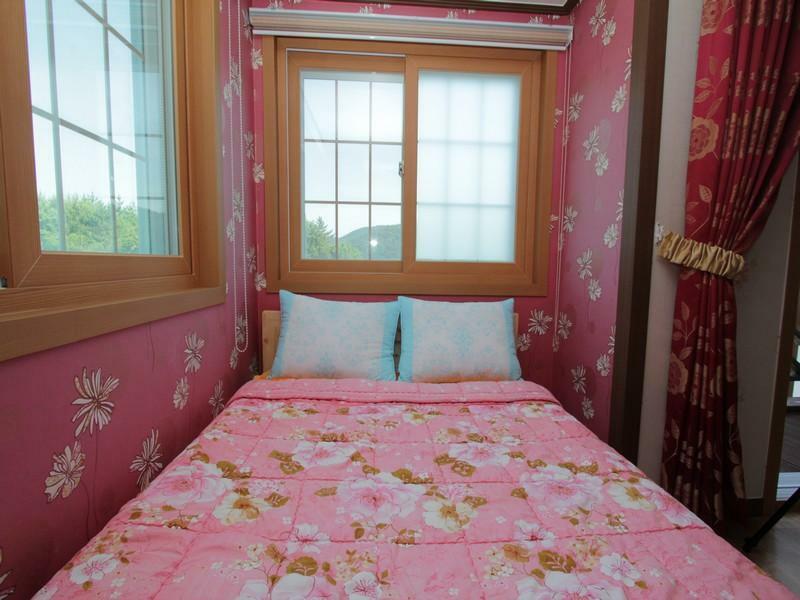 Beljari Pension is an ideal place of stay for travelers seeking charm, comfort and convenience in Tongyeong-si. We stayed in the family suite which has a double bed and loft (with floor sleeping) which our children loved. Studio style kitchen met all our needs and the owner was friendly and welcoming. It was quiet,clean and the view was outstanding. Location (on the islet not city of tongyeong) was perfect--you could spend a couple days just exploring the sights on the islet, which is gorgeous. Famous Korean poet/writer museum right next to the pension and a decent mart a few miles down the street. We really enjoyed our stay and will definitely come back! 1박2일로 가을 통영여행으로 이용하였습니다. 주인 아주머니는 친절하셨고, 방이랑 욕실도 깨끗하였습니다. 침대가 성인 두명이 자기에는 조금 좁았습니다. 가격대비 나쁘지 않았습니다. 방이 작아서 부모님은 다른 방을 구해야했습니다. 그외에는 만족합니다. 다른 후기들 처럼 일단 숙소가 너무 깨끗하더라구요. 그리고 사장님도 체크아웃 할때 계속 신경써주시고, 너무 친절하셨습니다. 또 통영에서 루지는 꼭 타보고 싶었는데, 루지 타는 곳이 차 타고 얼마 안 걸려서 좋았어요~ 다른 편의 시설은 제가 달리 둘러보지를 못 해서 모르겠네요. 겨울이라 난방 걱정했는데, 체크인 하는 날이 무척 추워서 걱정했는데 방에 들어가는데 너무 따뜻해서 감동했습니다. 관리인께서 미리 방에 불을 넣어 주시고 태도도 너무 좋았습니다. 강츄!! 가격은 시내에서 거리가 좀 있기에 저렴하였습니다. 시설도 그럭저럭 괜찮았습니다. 다만 다음 날 퇴실시간이 11시 인줄은 알았지만 딱 11시 되서 문을 두드리시기에 당황했네요. 펜션 여러군데 다녀봤지만 이런곳은 첨이였어요. 그리고 퇴실하고 기분좋게 남은 일정 즐기려는데 펜션 주인 아주머니께서 전화가 오셨네요. "혹시 젓가락 2세트 가지고가셨냐고 숙소에 6세트가 있었는데 2세트가 없다고" 그래서 제가 "원래 4세트밖에 없었고 제가 그거 가지고 가지고 가서 뭐할거냐"고 하고 끊기했는데 의심받은 기분이 좋진않았네요. 상식적으로 최대 숙박인원 4명인데 6세트놔두는게 말이 됩니까? 이용 후기는 있는 그대로 쓰는 게 맞다고 생각하기에 이렇게 씁니다. 여기 예약하실분들은 참고하세요. 미리 사진을 찍어놓시던지. 일단, 숙소가 깨끗해서 좋았고, 잠을 잘 자서 기분좋았습니다. 우리는 늦게 와서 잠만자고 갔지만, 잠자고 가기엔 딱 좋고, 마당에서 BBQ해서 드시는 분들도 있었는데 저녁에 고기파티하기에 편리하게 되어 있는것 같습니다. 박경리 기념관 바로 옆이예요. 생각보다 번화가랑 멀고 산속에 있어서 이동이 편리하진 않았는데 사장님이 너무 친절하셨고 전날 호텔에서 자고 갔던터라 많이 기대안했는데 호텔보다 훨씬 깨끗하고 관리가 잘 되어있어서 편하게 잘 쉬었습니다. 다음에 또 통영 갈일 있으면 방문하고 싶은 숙소입니다. 급하게 나오느라 제대로 정리못하고 나오지 않았는지.. 공기도 좋고 조용해서 좋았네요.. 아침에 숲에서 나는 새소리에 자연그대로의 힐링을 느끼고 왔어요..식용유 빌려주셔서 감사했어요..보답도 못해드리고 와서 다음에도 이용하고 싶네요..
전반적으로 무난합니다만 특징도 크진 않습니다. 시설은 좋습니다. 하지만 가격대를 생각하면 당연한 거란 생각이 듭니다. 교통이 불편한 데 있어서 자차 아니면 불편할 겁니다.